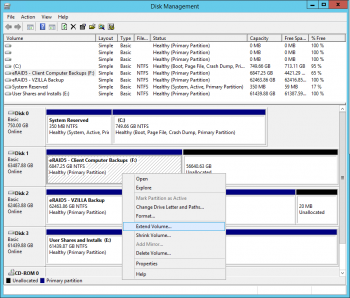 Both have been available using the Disk Management GUI since the Windows Server 2008 R2 days. 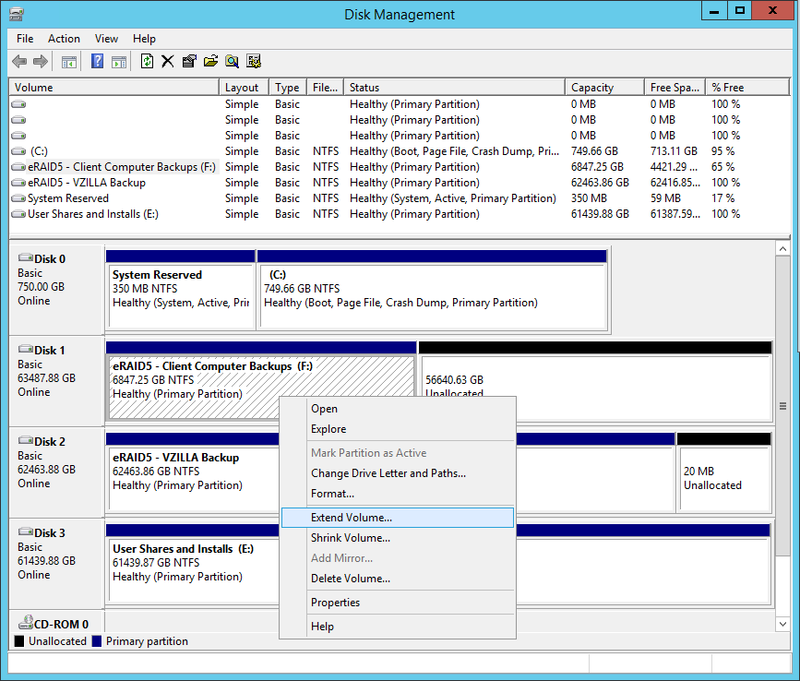 You may have to defrag first for the shrink to work, but having it built into Windows sure beats having to rely on third party tools like PartitionMagic. Backups client computers fail, sometimes warning "Errors are detected in the backup database"
only sometimes does a scary red Critical X shows up under Health Monitoring, saying "Errors exist in a client computer backup"
Don't freak out, you'll likely just need a few mouse clicks and some patience. All actions are at your own risk, since I cannot possibly be responsible for your data loss. 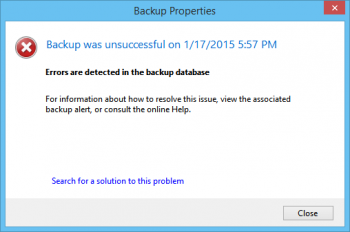 If possible, snapshot or backup your entire disk before you begin. Click Devices, and then click Client computer backup tasks. Click Tools, and then click Repair now. 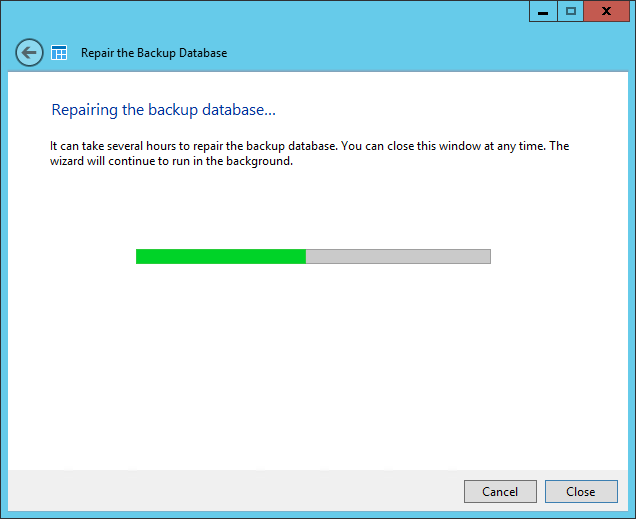 Depending on how large the backup database is, the database repair can take several hours. Even if the repair status UI never shows up, you can use Resource Monitor, CPU, Processes, then sort on the CPU column, to keep an eye on things. 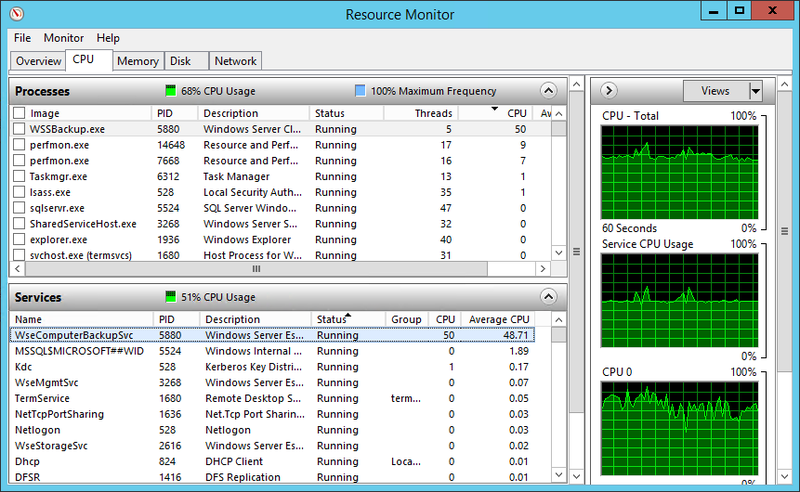 Or you can go do something else, then come back from time to time, to see if it's done with elevated CPU/Disk activity. 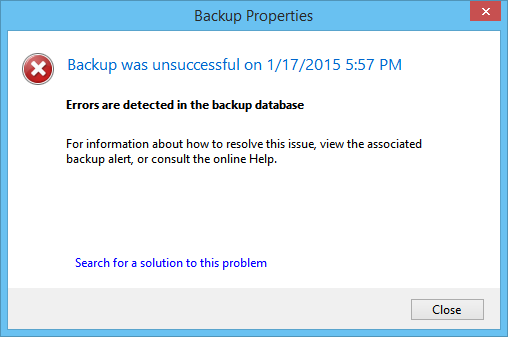 At that point, it's like that Backup status, and the backups, are normal again. Please take a moment to drop a brief comment below, if this article helped you at all. Thank you!